Welcome back to New(ish) Music Tuesday, in which The Young Folks staff share their favorite new songs. 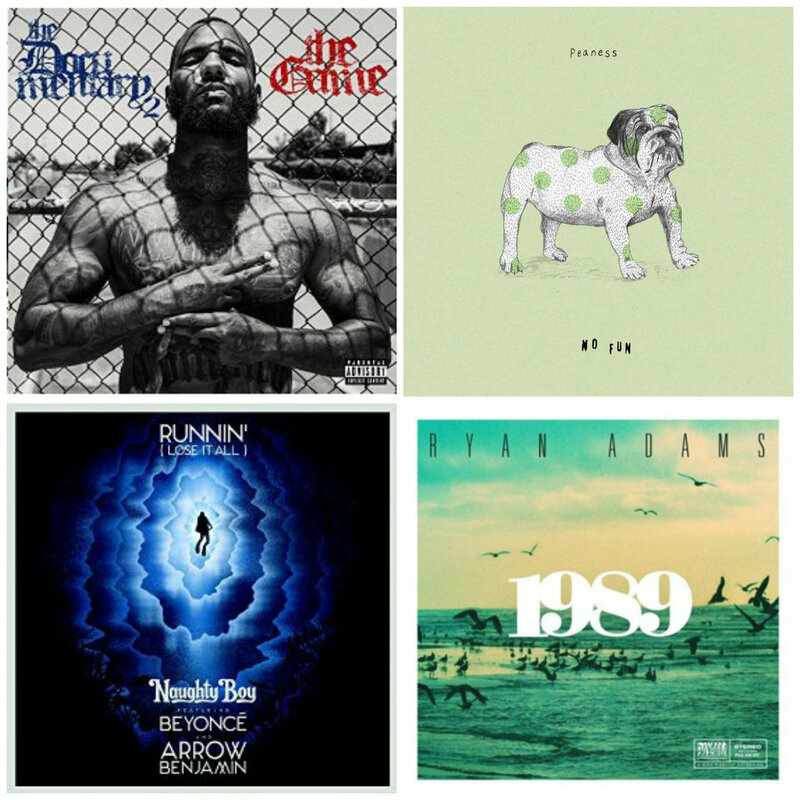 This week, we have a comeback song from rapper Game, a new cut from Naughty Boy, one of the songs from Ryan Adams’ much discussed full album cover of Taylor Swift’s 1989 and a throwback indie pop song from British band Peaness. Check below to see what we thought of each song, and let us know what your jams are this week in the comments! Game is back? I don’t think I can say that since I haven’t heard anything of quality since Doctor’s Advocate, but this track shows that Game hasn’t really left. He’s capable of having an amazing comeback here with his upcoming album The Documentary 2. He sounds hungry, fierce, and ready for more on this song about Game’s drug hustling days. The instrumental comes from Bangladesh (“A Milli”) mostly, and some slight finishes by Skrillex, who adds that hypeman sounds in the back. This song shows how Game can stay relevant while being the same Game who brought my heart back to the West. The first single off producer Naughty Boy’s upcoming second album is a great one. I love when Beyonce’s vocals get tender, but stay powerful as it swells with the music. Arrow Benjamin surprisingly can keep up, singing his verses just as well as Beyonce’s. It’s one of the few house songs that grabbed me instantly, and I can totally see this becoming a club classic, if it isn’t already. Never a huge Ryan Adams fan nor a Taylor Swift one; you can say I was apathetic when I heard Adams was recording a 1989 cover album. Somehow, his cover of “Bad Blood” made its way into my ears, and I was surprised by how much I enjoyed his interpretation of one of my least favorite singles from Swift. After listening to the whole album on the way to work this morning, I have to say “Out of the Woods” is my favorite. This song was made for an intimate, acoustic sound. Peaness, an unsigned band from the west of England, has a sound that recalls the very best of the storied British indie pop label Sarah Records. Their jangly single “Fortune Favours the Bold” is the highlight from the EP they put out earlier this summer. The song is all hook, and it’s so incredibly catchy that it will be lodged in your brain in no time especially because it practically demands repeat listens. If they keep making songs this spectacular this early into their career, you can expect big things from this band in the very near future.